Kids understand that you can buy just about any fruit in the grocery store all year long. For the freshest flavor and brightest color, enjoy fruits when they are in season. Here’s a handy chart as a guideline. 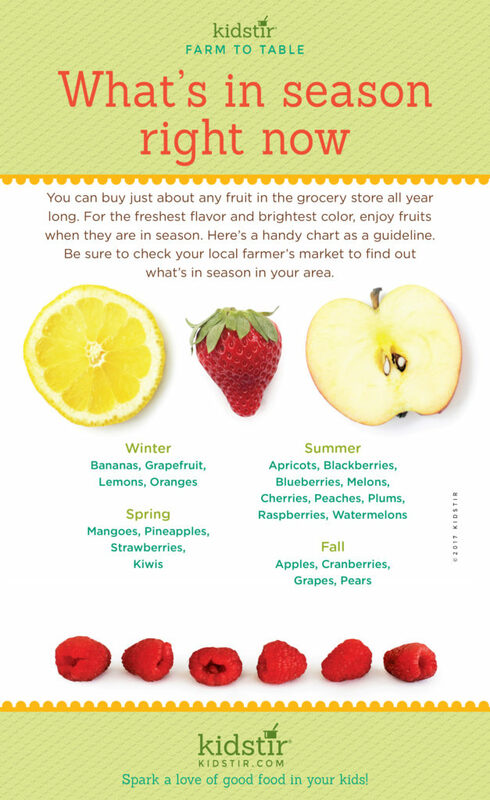 Be sure to check you local farmer’s market to find out what’s in season in your area. 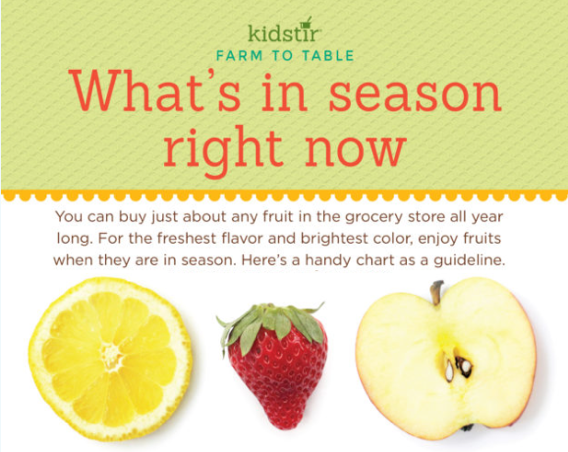 We’d love to offer the Kids Seasonal Fruit Infographic for you to share on your blog. Just select and copy the code snippet below and paste into your next blog post. We’d love for everyone to share this page on social media or email using the buttons below so all the kids you know can learn how to pick out the tastiest and most colorful fruit!